Check out the Columbus Dispatch feature story of the day. 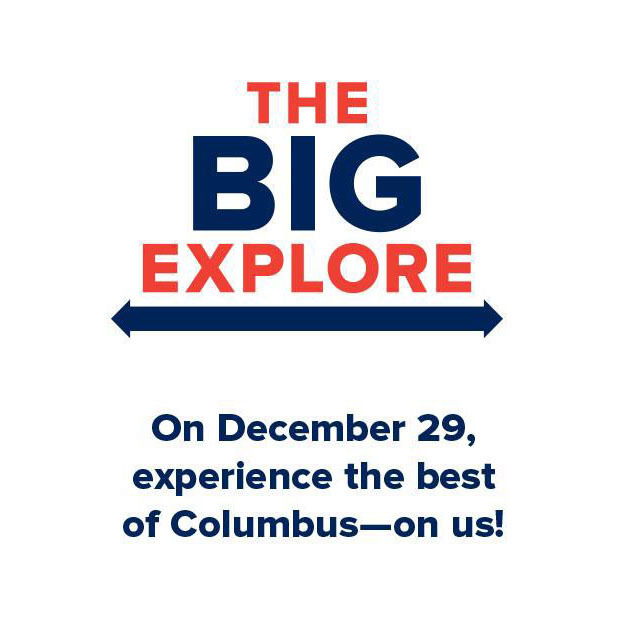 Visit Columbus Museum of Art for free as part of “The Big Explore” a celebration of The Columbus Foundation’s 75th Anniversary on Saturday, December 29, 2018. You will have the opportunity to explore all of CMA’s exhibitions including our annual celebration of the creative potential of LEGO® bricks, Think Outside the Brick, our nationally acclaimed special exhibition I, Too, Sing America: The Harlem Renaissance at 100, and new brunch menu in our Schokko Café. Ride the bus to CMA – COTA buses are free that day and the #10 Bus has convenient stops in front of CMA. Visit COTA for more information. For those driving, parking will be $5 per car (pay as you enter). Plus as a special treat stop by any Jeni’s Splendid Ice Creams location in Columbus for a $.75 scoop of ice cream! Visit the Big Explore Facebook page for updates and additional details on The Big Explore, the 75th Anniversary Celebration of The Columbus Foundation.